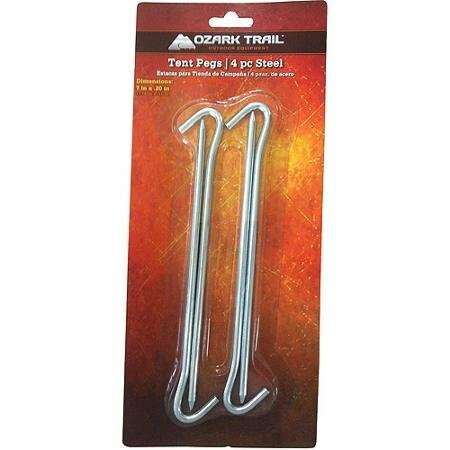 Ozark Trail brings you a set of four durable and reliable steel tent pegs. They are made from high quality high strength steel. They have A sharp bullet tip that will penetrate even some of the hardest ground. They have over 10,000 pounds of tensile strength and are suitable for windy applications. They are a must-have for your next family fun camping trip or If your A soldier in the field. If you have any questions about this product by Mega Stake, contact us by completing and submitting the form below. If you are looking for a specif part number, please include it with your message.